We would like to welcome Dr. Indira Malpica to our team. We are grateful to bring one of the most talented Chiropractors we’ve ever met into our facility and are extremely excited about what the future holds for her. Dr. Malpica’s Primary focus is neurology and treating children with autism, ADD/ADHD, depression, and many other common neurological issues. Dr. Indira Malpica was born and raised in Puerto Rico. As an adolescent, she was always interested in science, biology and how the human body functions. These interests led her to pursue a bachelors degree in Biomedical Sciences and a Masters degree in Molecular Biology. During her early years of study, she was always fascinated with the human brain and nervous system and how they both control the human body. 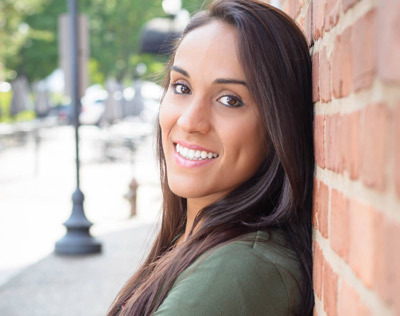 Before finishing her Master’s Degree, Dr. Indira decided to pursue a Doctor of Chiropractic degree, since the core of this degree focuses on the nervous system. She completed this program with honors, graduating as Valedictorian of her class. Dr. Indira has practiced chiropractic in Atlanta, GA, San Juan, Puerto Rico, Palm Beach, and now Boca Raton, FL. Although Dr. Indira has been serving Palm Beach & Boca Raton with love and dedication through chiropractic, she has remained passionate for helping others in many areas. This desire led her to learn about Neurofeedback and its ability to improve the function of the human brain. Dr. Indira became a certified Neurofeedback Practitioner, has been practicing Neurofeedback Therapy and is currently pursuing her Board Certification. She is extremely knowledgeable in this field and integrates other modalities such as nutrition and Primitive Reflex Integration to achieve the best outcome for her patients. Dr. Indira has already seen triumphant results in patients as young as 7 years old and is excited to continue her work, educating more, and presenting this fantastic service to the community she cares for. Contact our practice today to get started. You can take advantage of our new patient offer to find out what we can do for you.